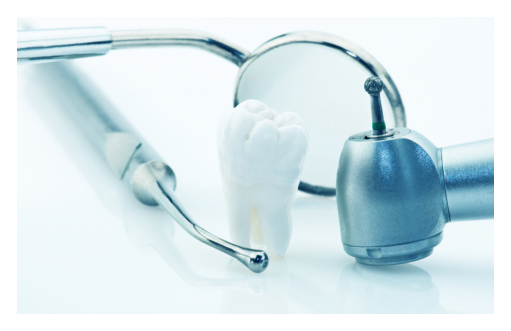 Our comprehensive dental practice offers excellent general dentistry services to families in Franklin, MA, ensuring with each appointment that our patients receive the best preventive dental care treatments available. Our team of highly-trained hygienists, super knowledgeable and talented dentist and in-house specialists take pride in providing patients of all ages with the most advanced preventive dental care, whether they require a routine cleaning, cavity filling or more extensive treatments, such as digital X-rays or oral cancer screenings. If you’d like to receive high-quality general dentistry services at a convenient, family-oriented practice, call the Arcadia Dental Franklin at (508)541-7400. To keep your gums and teeth healthy and attractive, preventive dental care is a must. At Arcadia Dental Franklin, we offer many high-quality general dentistry services, explained in-depth below, that will serve as the first line of defense against dental issues like unsightly plaque, cavities and gingivitis. During your biannual check-up, your teeth will be expertly cleaned by one of our experience hygienists, who will remove plaque and tartar, polish your teeth and floss to assess the health of your gums. Our Hygienists are licensed and fully trained to perfect your teeth. Your dentist will then determine if you need a cavity filling, evaluate your existing restorations, review your current X-rays and screen for early signs of oral cancer and gum disease. At Arcadia Dental Franklin, we can also create customized mouthguards for individuals who regularly participate in sports. A mouthguard is an essential preventive dental care tool for athletes who wish to protect their teeth, lips, gums and cheeks from sports-related injuries. Dr. Saadi specialized in TMJ and Sleep Apnea from the most prestigious TMJ program at Harvard School of Dental Medicine. Call 508-541-7400 to schedule an informative consultation with Dr. Saadi. Thorough preventive dental care will not only keep your teeth clean and polished, it can also save your life. In the fight against oral cancer, early detection is key – and excellent general dentistry services will aid in diagnosing the disease before it becomes life-threatening. At Arcadia Dental Franklin, our highly-experienced specialists provide patients with a comprehensive oral cancer screening. After an extensive visual examination of the gums and soft tissues, we’ll use high-tech devices and digital X-rays to detect potentially-cancerous lesions and tumors before they cause symptoms. Whether it’s a simple cavity filling, a customized nightguard or an oral cancer diagnosis, our experienced and compassionate team can provide the services you need at our state-of-the-art dental office. If you’re looking for thorough, high-quality general dentistry in Franklin, MA, call us at (508) 541-7400.